Thank You for this possibility to make each other better. My daughter asked me about a birds in a cages we have seen in the zoo: “Why are these birds in the cages? In my fairy tales birds live in a magic forest.” I explained that the zoo is a kind of hospital for a sick birds. Its will live in a forest when a doctor allows. 5 y.o. is a good age for this story, daughter is satisfied by my answer. “God loved the birds and invented trees. 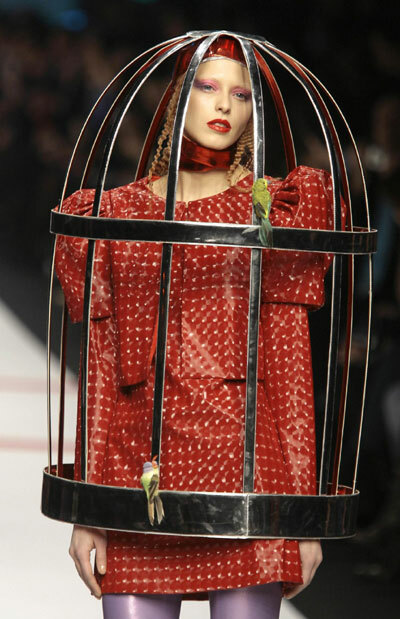 Man loved the birds and invented cages.” Jacques Deval sarcastically said. The words mirror human approach to nature, but in our will to help each other to become better, kinder and in the end make a little creature free. I mean “little creature” in the wide sense. We all have something or somebody to free. I love poems by Alexander Pushkin. The special one for today is “The Little Bird”. 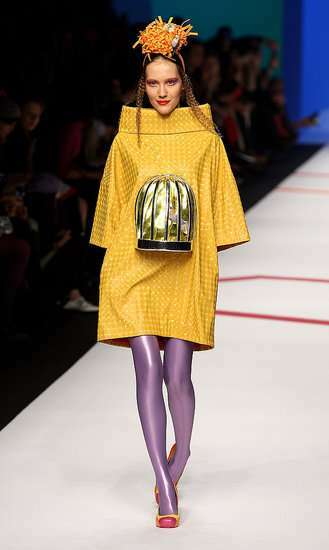 A models walks the runway in the Agatha Ruiz De La Prada show during Milan Fashion Week Women wear Autumn/Winter 2009. (Photo by Vittorio Zunino Celotto/Getty Images). Thank you for your help to make me better. Happy Friday! Thank you! It was really happy. I hope your weekend was happy too :-). Wish you a good and smiling week. I didn’t like the last photo though…strange isn’t it how she traps the model in a cage? The story you told your daughter is a sweet one, if only we all did that…to heal and then let go, with no expectations. Thank you, Shree, for your such a good comment. I really like and share your opinion about the last photo. But perhaps the photo is true in its meaning. Some people chose a living in a cage consciously. Some people trap an another one in a cage consciously too. “No expectations” is a choice and philosophy for brave and wise people. I am not :-). Just learn to be. I am really happy to meet you and have a possibility to think and grow with you.